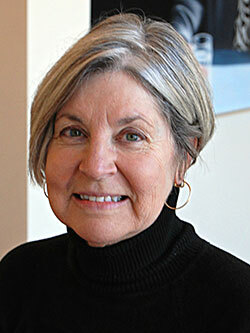 Dr. Linda Ferguson is Dean of the Birdsong School of Social Science at Virginia Wesleyan University. She is also a professor in the Department of Management, Business, and Economics and teaches courses in marketing and communication. Dr. Ferguson holds an Ed.D. in Higher Education Administration from The College of William and Mary and an M.Ed. and B.S. in Business Education from Shippensburg University. As an undergraduate, she studied comparative education at the University of London. She has participated in study-away courses in “Culture and Commerce” since joining the Virginia Wesleyan faculty. Previously, she taught in the Virginia Community College System which involved on-site delivery of management courses in numerous industrial settings to include Ball Metals, Planters, Smithfield Foods, Union Camp, and the Southampton Correctional Center as well as Southampton Memorial Hospital. Dr. Ferguson’s research has resulted in a number of case studies featuring a variety of industries: Promoting Perpetuity (funerals), Wedded Blitz (nuptials), and A Hundred Years of Harley-Davidson (motorcycles). Her other work focuses on visual literacy and the intersection of art and brand association, i.e., Google Doodles and Absolut campaigns. Professor Ferguson is a two-time recipient of the Exemplary Teaching Award from the Board of Higher Education & Ministry of the United Methodist Church as well as the University’s Samuel Nelson Gray Distinguished Teaching Award. Originally from Central Pennsylvania, she currently lives in Suffolk, where she is past president of the city’s branch of the American Association of University Women and a former board member of the Suffolk-Nansemond Historical Society and American Red Cross Chapter.